There are some standard pieces of advice among social media marketers: Create shareable content, include links, measure everything, use hashtags. However an analysis of more than 137,000 tweets by Ryan McCready, content editor at infographics design platform Venngage, suggests that hashtags may not be worth your time, and they may even be detrimental to your campaigns. Of the tweets analyzed by Venngage, only 35 percent of the accounts tweeting to the selected hashtags were genuine. Nearly 57 percent were questionable accounts, with high numbers of followers/follows, or odd like/share habits. And 7 percent of the accounts were “zerospam” accounts–accounts with zero followers–less than eight months old and averaged more than 17,000 shares/retweets. Certain industry related hashtags are subject to a lot of questionable and zerospam activity. More than one-half of the tweets in #Advertising are zerospam, and less than one-quarter are real. For almost all hashtags analyzed–including #Entrepreneur, #DigitalMarketing, #InfluencerMarketing and #Startup–more than one-half of the tweets came from questionable accounts. This level of questionable activity could lead to a lot of wasted effort, and marketers are already wasting a lot of money on bot traffic and bot fraud. In examining just 11,000 tweets over a three-day period McCready found a network of fraud that led to 10.5 million false likes and 10.8 million false tweets and retweets. Activity like this, along with Twitter’s bot problem, could be leading to almost 15 billion false notifications per month. McCready’s conclusion? 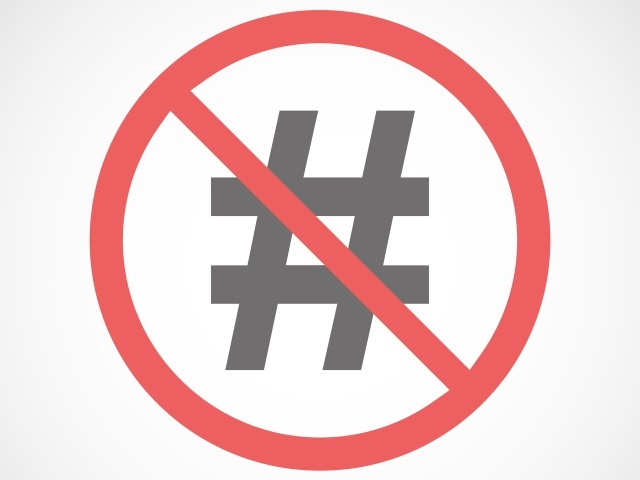 Hashtags may be hurting your campaign more than they help. Check out the infographic and read McCready’s full analysis for more data.